Isolated, desperate, and haunted by his coal-stained birthright, Clarence Lockwood continues his daily descent into the accursed Maple mines, even after it has crippled his father and blinded his youngest son. 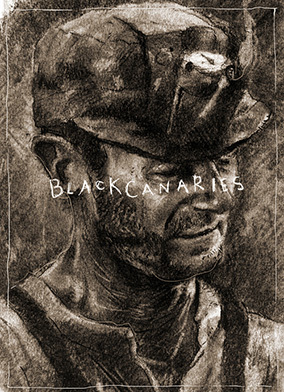 Set in 1907 and based on director Jesse Kreitzer's own coalmining ancestry, "Black Canaries" is a powerful meditation on patrimony, loyalty, and love. Jesse Lockwood Kreitzer is a filmmaker from southern Vermont whose interests include rural storytelling, folklife and ancestry. Through genealogical research and preservation, Kreitzer is provided a creative conduit into explorations of memory, lineage and tradition. Kreitzer's short film Lomax (WFF 2014), a spirited retelling of folklorist Alan Lomax's seminal 1941 journey through the Mississippi Delta, received an official endorsement from The Association for Cultural Equity, Lomax's founding organization, and screened at over twenty-five festivals around the world. Kreitzer's next film The Murder Ballad of James Jones, a slice of South Side Chicago blues lore, was awarded the Oscar-qualifying Grand Jury Prize for Best Short Documentary at the 2015 Atlanta Film Festival. Kreitzer recently relocated to his home state to produce his debut feature film Caregivers, the documentary/narrative hybrid about hospice workers and midwives in the mountains of rural Vermont.